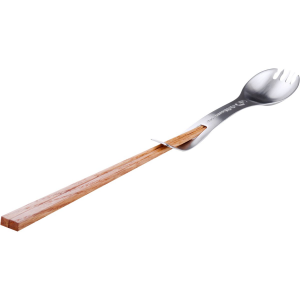 The GSI Clacier Stainless Kung Foon is a unique ultra-clean camp utensil that gives you the function of a spoon, fork and a set of chopsticks. 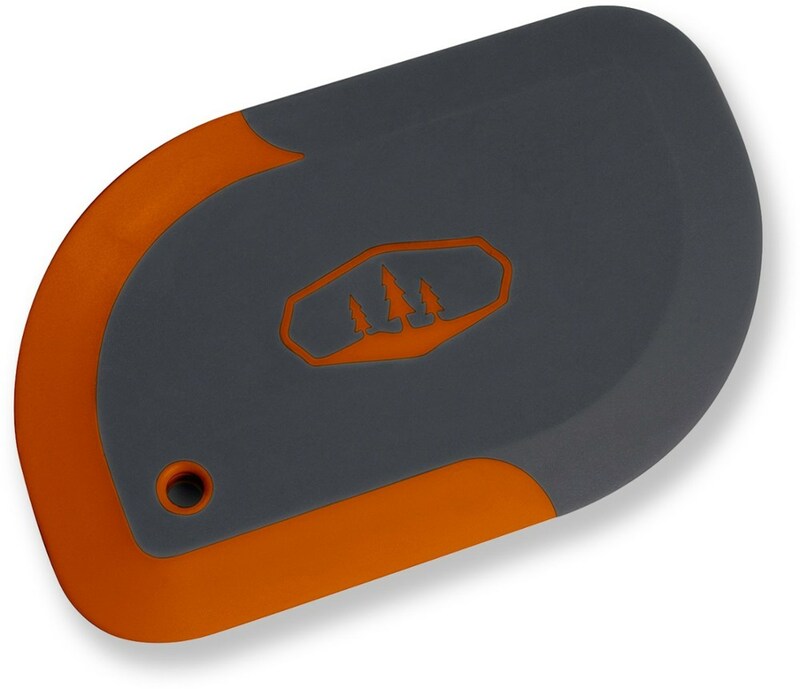 When placed together, they combine to form a long handled spoon that's ideal for scraping the last bit of food out of a narrow backpacking pot or a rehydrated meal pouch. 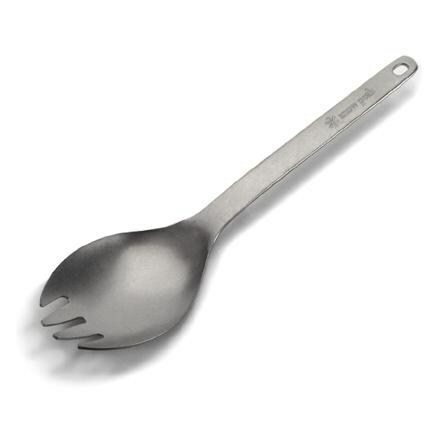 The GSI Outdoors Glacier Stainless Kung Foon may look like a simple spork and chopsticks, but combined, they form a long-handled power utensil for scald-free stirring and morsel snagging. 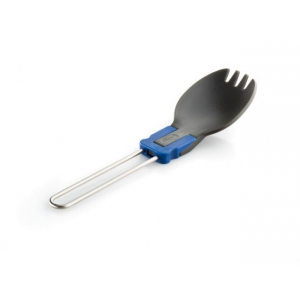 The Glacier Stainless Kung Foon from GSI gives you two options while eating your outdoor meals, Chopsticks or Foon. The chopsticks can slide into the foon handle to create a long handled utensil perfect for scooping, scraping or stirring rehydrated pouch meals or narrow pots. Chopsticks slide into foon handle to create a long handled utensil perfect for scooping, scraping or stirring rehydrated pouch meals or narrow pots. 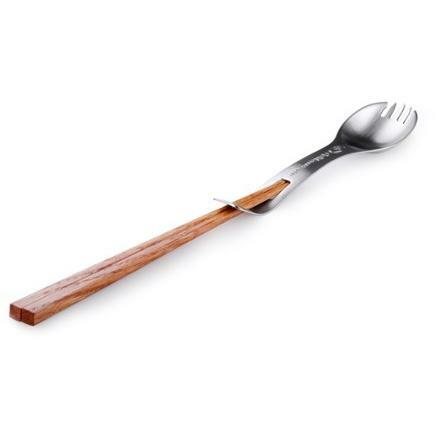 Barbed foon tines bite tenaciously into food. 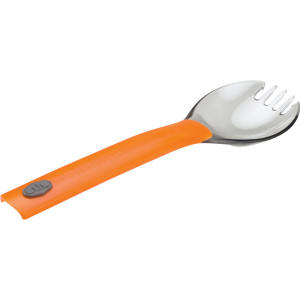 Deep foon bowl maintains full spoon functionality for soups or cereals. Includes custom stamped, steel gift tin to carry and store Kung Foon.